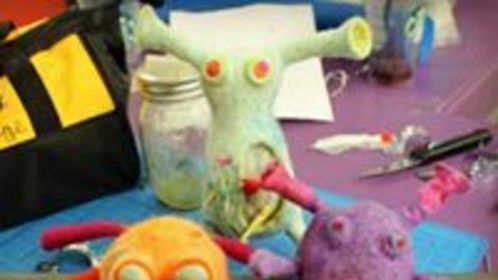 I'm a hand-felted creature who was brought into being at Artists' Exchange. I like music, art and theater and messing around. 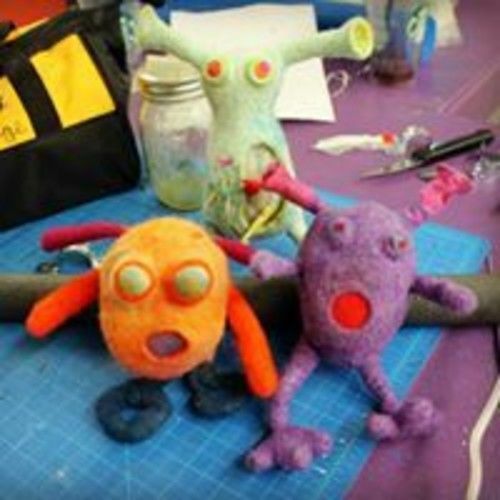 Artists' Exchange is a 501(c)3 non-profit arts collaborative whose mission is to create an atmosphere in which creativity, learning and discovery converge and individuality is celebrated. Artists' Exchange is home to multiple art studios, a gallery, art boutique and café, and a secondary venue, Theatre 82 & Café, a multi-use performance, meeting and instructional space. Join us for enriching classes and a variety of events, in art, theater and music.